Since we only had one and a half days to explore Phnom Penh, our traveling crew stuck to the highlights. 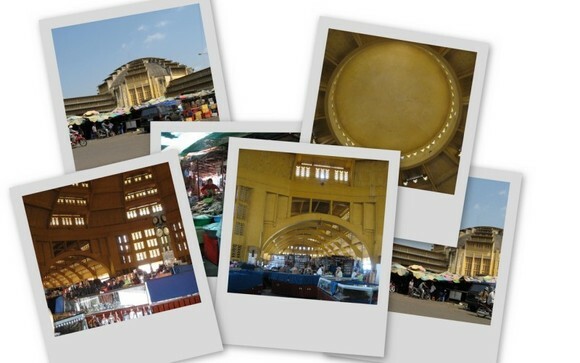 Central Market is painted a vibrant golden yellow, spacious, and has incredibly high ceilings. There are vendors housed both inside and outside market—clothing and accessories were sold inside, while produce and prepared foods were sold outside. We arrived at the market during naptime, so many of the vendors were zonked out. Whereas Saigon’s Ben Thanh Market is noisy, bustling, and somewhat maddening (especially with all the vendors trying to hawk their goods), Central Market is organized and calmer. However, the selection at Central Market is less diverse. Disinterested in knock-off clothing and accessories, we mostly explored the food-related vendors outside. 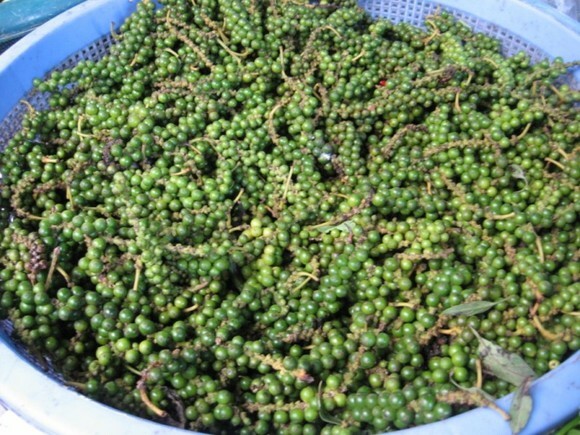 Here is a basket of fresh green peppercorns! 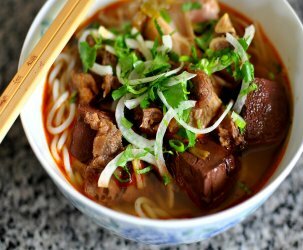 A little too strong to be eaten alone, but paired with the right items, say banh trang phoi suong, they really pack a lot of punch. 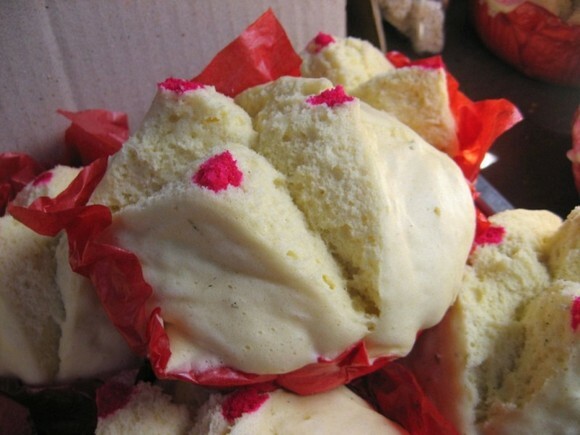 The Astronomer has a weakness for baked goods, so we picked up one of these sweet buns to share. I tried my best to extract the Khmer name from the vendor, but couldn’t quite pick it up. Language barriers stink. I guess the name sweet buns will have to suffice. Wrapped in red tissue paper, the sweet bun tasted like a cross between Jiffy cornbread and steamed pork buns minus the pork (banh bao). The sweet bun was fluffy, but one-dimensional in flavor. 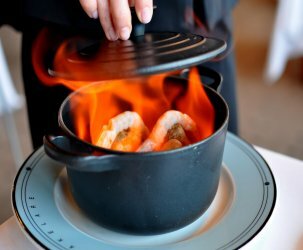 Definitely good for carbo-loading. 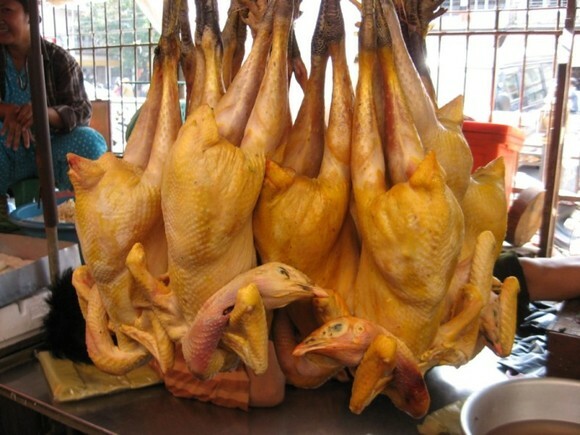 A posting about markets just wouldn’t be a posting about markets without some proper carcasses! Here are some dead chickens with really dirty feet. 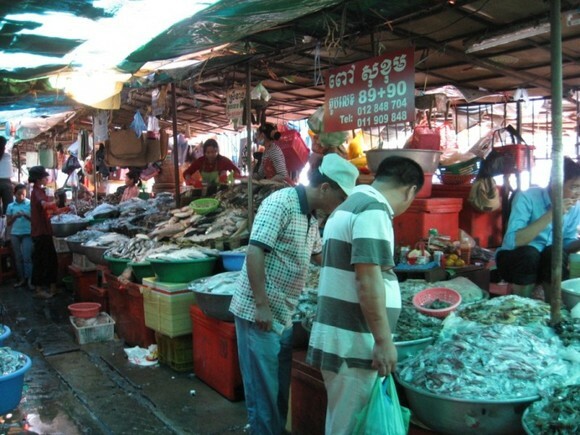 Some Khmer men perusing the fresh seafood selection. 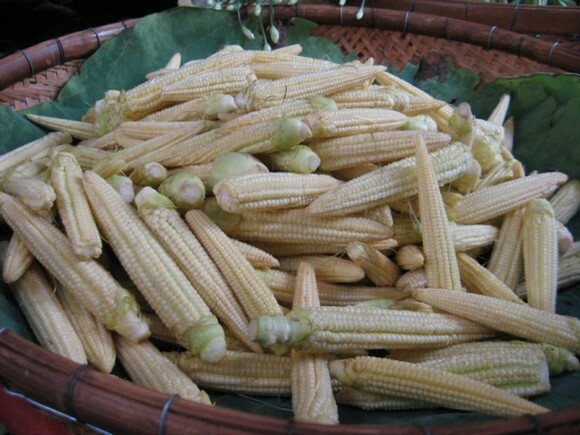 I was thrilled to see fresh baby corn because I have only encountered the canned stuff previously. I wanted to pop one in my mouth, but Central Market isn’t an East Bay farmer’s market where everything is game. 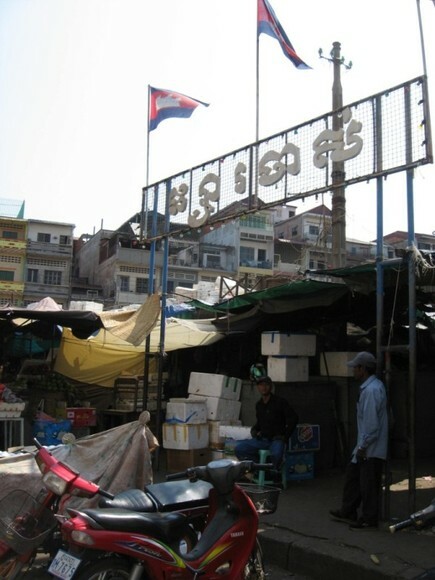 The gate leading to Old Market. Old Market has a few produce vendors, but the majority of the stalls offered hair care services, like shampooing and hair straightening. We did not stay here for long because our coifs were already in tip-top shape. Rotisserie chicken! 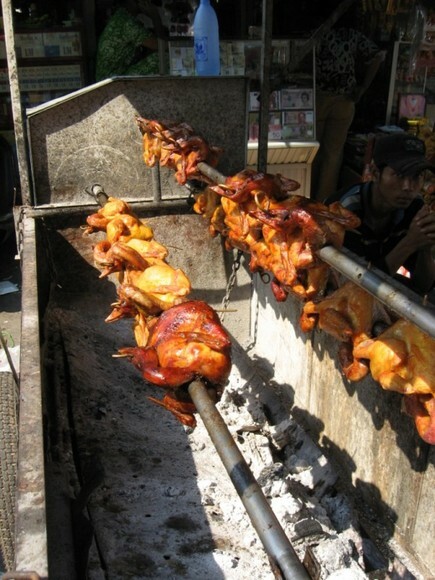 Beautiful chickens roasting over hot coals. We love it when you post market pictures! You really capture the vibe of the surrounding, wish we were there! Thanks T and D! Market pix from Bangkok to come ;-)!